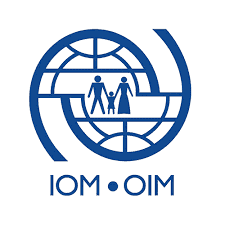 Established in 1951, IOM is the leading inter-governmental organization in the field of migration and works closely with governmental, intergovernmental and non-governmental partners. IOM is dedicated to promoting humane and orderly migration for the benefit of all. It does so by providing services and advice to governments and migrants. Under the overall supervision of the Programme Coordinator, and the direct supervision of the Project Manager in Dar Es Salaam, the successful candidate will provide managerial support and supervision for the implementation of IOM Tanzania’s Migrant Registration Support for Tanzania (MiREG) project and its related activities. • Fosters a sense of team spirit by developing a shared understanding, accountability and enthusiasm for the team’s work. • Displays a high level of cultural awareness, sensitivity to different ways of working and leverages individual strengths in order to build a better team. • Shares credit for team accomplishments and ensures that the contribution of others is recognized. • Helps create a positive team spirit, putting aside personal considerations to help the team achieve its goals. • Produces high-quality results and workable solutions that meet clients’ needs. • Anticipates constraints, identifies solutions and takes responsibility for addressing critical situations. • Monitors own and others’ work in a systematic and effective way, ensuring required resources and outputs. • Aligns projects with Organization’s mission and objectives and demonstrates a good understanding of the impact of team’s and own work on external and internal counterparts. • Disseminates and shares knowledge openly and actively contributes to knowledge/network communities for topics relevant to area of expertise. • Encourages knowledge-sharing across units/departments and ensures that knowledge is captured, recorded and disseminated appropriately. • Builds networks for the effective communication and exchange of knowledge and ideas and puts others into contact with various sources of knowledge. • Contributes to an environment that is conducive to innovation and learning. • Proactively seeks responsibility in delivering towards the goals of the Organization. • Plans and organizes work with a clear and deliberate focus, ensuring commitments are easily identified and progress is widely communicated. • Stands by the actions of team or department, publicly accepting ownership. • Takes responsibility of own shortcomings and those of the work unit, where applicable. • Speaks and writes clearly and effectively. • Seeks to share information with others, with due respect for diversity and the confidentiality of specific sensitive information. • Listens and seeks to understand without bias and responds appropriately. • Shares information and keeps others up to date; actively seeks others’ views and ideas and respects their contribution. • Assigns responsibilities fairly and manages performance, taking account of individual strengths, workloads and interests. • Is inclusive in decision-making and actively seeks feedback from team members and colleagues in order to identify opportunities for improvement. • Takes sound and timely managerial decisions that are consistent with the Organization’s vision and purpose. • Establishes and maintains relationships with a broad range of stakeholders to understand needs and gain support. • Delegates appropriately to make the most of others’ talents, clarifying expectations and allowing autonomy in important areas while providing necessary support. • Encourages others to take responsibility for their performance; promotes ownership, responsibility and accountability for desired results at all levels. • Creates an atmosphere of trust and confidence in which others can talk and act without fear of repercussion. • Gives proper credit to others, shows appreciation and rewards achievement and effort. • Aligns own actions to the Organization’s vision, values and mandate. • Translates strategic direction into short and medium-term plans and objectives for own team; revises objectives to reflect changes in organizational goals. • Identifies key issues/priorities in complex situations and how they may be related to one another. • Clearly communicates links between the Organization’s strategy and the work unit’s goals. Posting Period: 8th April to 22nd April 2019.